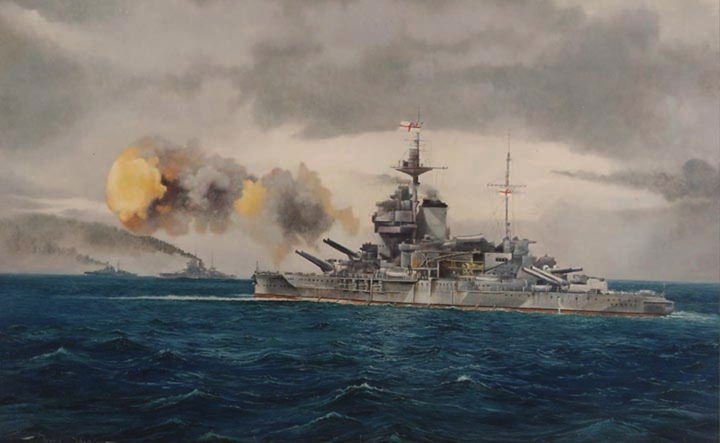 the most famous British Battleship of all time. 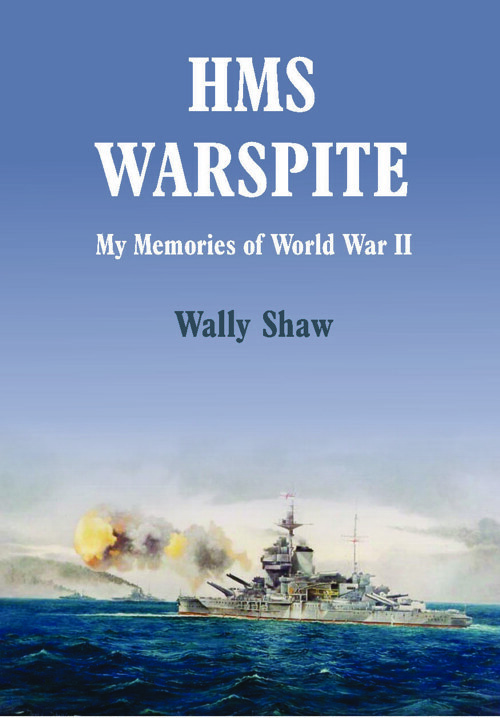 My interest in HMS Warspite began sometime ago when I was commissioned to paint the Old Lady by RN Provost Marshall Headquarters, HMS Drake, Plymouth, where it now hangs in the Mess. 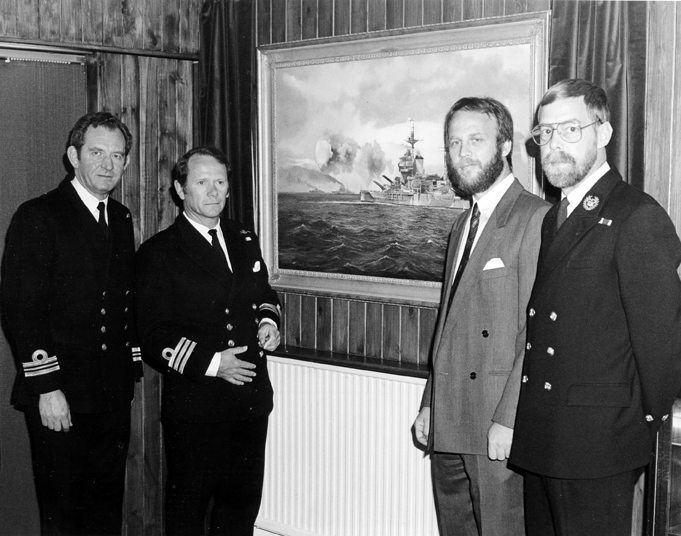 Left to right, Lt Cmdr Ernest Lord, Provost Marshall, Capt.of HMS Warspite (at the time, a nuclear powered submarine) Derek Shapiro the Artist and Master at Arms, Philip Bryant. 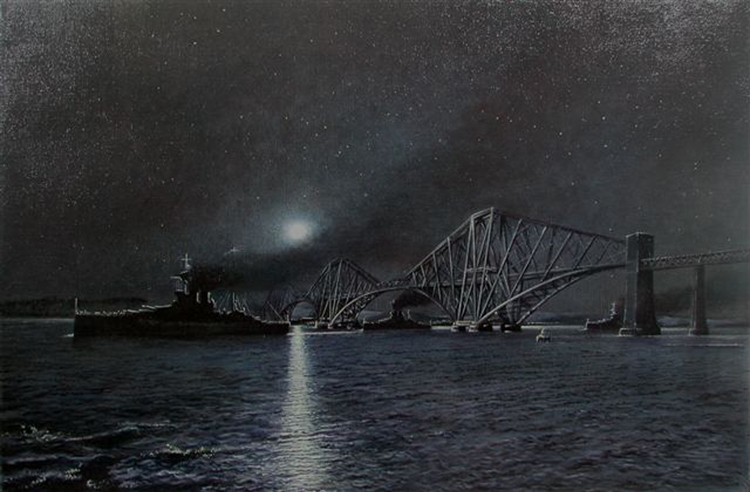 This painting was commissioned by a private client and is hanging overseas in Canada.